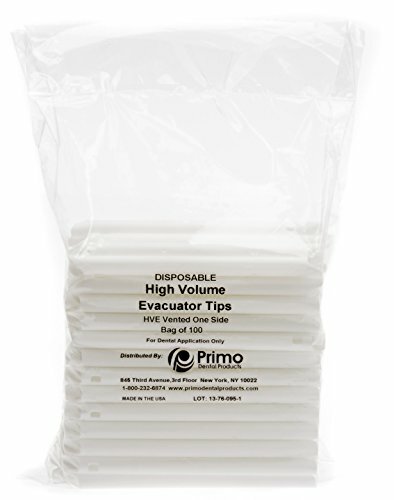 Primo HVE High Volume Evacuator Tips Vented are multiuse combination evacuator tips with both vented and nonvented ends. Features a soft end for patient comfort. Tips are Latex Free.